Direct mail may seem old fashioned, but when you add the new advantages available with real estate data, it’s smart to pull this strategy out of the marketing toolbox. Sure, today it seems like all you ever hear about is social media. Even the President of the United States is enamored by his Twitter account. The reasons are obvious. For one, it’s free. Secondly, it’s fast. All you need to do is post something and your messages instantly get served to the public on a platter of Facebook, Twitter, LinkedIn or Instagram. All those factors make social media seductive. But is it the only effective way to reach people? And what about its many flaws? Don’t ignore direct mail. Most experienced real estate professionals know this medium can be super-effective for reaching the right prospects – both buyers and sellers. What’s happens is that many people get lured into the ease of social media. But there are lots of holes in your marketing plans if you just depend on social media. First of all, many of your prospects are not reachable through social media. They don’t follow you on Facebook. In fact, tons of people don’t even bother with Facebook. Or if they had an account, they got tired of it and never go there anymore. Same with Twitter or Instagram. Not only that, for the people who do use social media, the deluge of posts and information is absolutely overwhelming. It’s not a stream of information that is coming at web users today, it’s a deluge. A digital tsunami. The information passes by an internet user so fast, experts say you have only THREE seconds to catch their attention. Click rates on ads and posts are brutally low. A 1% click rate on ads or links is considered good. Now, take the time-tested value of direct mail. 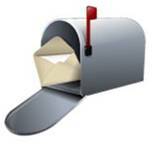 A recent study by Epsilon researchers found 98% of people check their mail daily. Talk about high touch. Just about everybody you mail to is going to see your message. You can target whoever you like, whatever neighborhood you want and how often you like (unless they request you don’t, which is unlikely). There are no spam folders. No one is pushing your post down. People have to touch their mail and many actually enjoy doing so. According to experts, the open rate for a mail piece is about 45%. That sure beats the web any day. And like anything, that open rate depends on the message on the envelope or post card. Sounds great, but like any marketing campaign, how you do make it effective? How do you compete with all those other pieces of direct mail? How do you compete with other real estate agents doing the same thing? Experts will tell you – the key to direct mail marketing is not telling people who you are, how long you’ve been an agent in the market, or how many homes you’ve sold. That’s all important, but it’s not the catalyst that will compel a consumer to act. You need an offer. A way that will generate a response. An offer that answers questions. Solves problems. With today’s advancements in “Big Data” technology, one of the best offers you can provide is a sampling of valuable, hyper-local real estate data. Data and statistics focused on a consumer’s particular neighborhood. The first one’s a no-brainer. Offer consumers a Home Value Estimator tool. You know the technology that made Zillow so popular? Guess what? Now local brokers and agents can offer the same feature on their websites. Offering a way to answer this question is powerful. A broker or agent can now easily acquire this information by just partnering with a real estate data provider such as Home Junction. These data providers have access to enormous databases of local information – tax rolls, boundaries, home sales, demographics, cost of living indices, crime statistics, etc. etc. Use that information to make your direct mail pieces more effective. Give people a reason to visit your website, sign up for your newsletter or call you. Tailor the message for each particular neighborhood or demographic you are targeting. Sure, in the past thirty years we’ve entered a new age of communication with emails, text messages and social media. But don’t ignore a means of communication that has been around for centuries. People still read the mail. Their mailboxes are waiting for your offer. Make it a good one. Offer them valuable real estate data and information about their most precious possession. Here are some tips and resources on direct mail marketing for real estate professionals.